who defines this range and under what testing protocols? Many medical professionals are starting to question the current standard of care when it comes to statin therapy, as these cholesterol-lowering medications may not benefit patient populations at all, and in fact may be harming them. 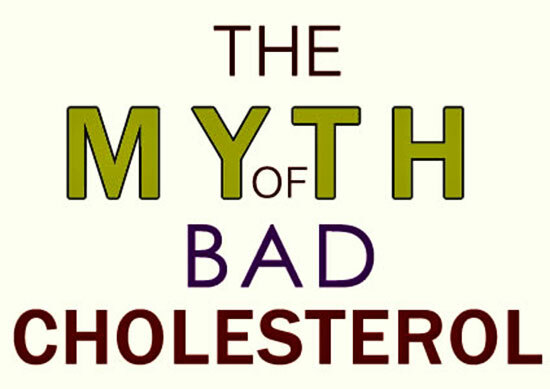 Mainstream medicine has long supported the message that "HDL cholesterol is good and LDL is bad," however it remains at the very least an oversimplification. Cholesterol is neither "good" nor "bad," and attempts to artificially lower your cholesterol can be quite dangerous, in part because of serious side effects such as muscle damage. Consider the finding (Lack of Association Between Cholesterol and Coronary Heart Disease Mortality and Morbidity and All-Cause Mortality in Persons Older Than 70 Years) of Dr. Harlan Krumholz of the Department of Cardiovascular Medicine at Yale University, who reported in 1994 in the Journal of the American Medical Association that old people with low cholesterol died twice as often from a heart attack as did old people with a high cholesterol. To be more specific, most studies on the elderly have shown that high cholesterol is not a risk factor for coronary heart disease at all. On the Medline database many studies address that question. Specifically how high cholesterol may protect against infections and atherosclerosis. Dozens of studies have found that high cholesterol does not predict or cause mortality. The next time you go in for a medical checkup, your doctor will probably make a mistake that could endanger your life, contends cardiologist Allan Sniderman of McGill University in Montreal, Canada. Most physicians order what he considers the wrong test to gauge heart disease risk: a standard cholesterol readout, which may indicate levels of low-density lipoprotein (LDL) or non-high density lipoprotein (non-HDL) cholesterol. What they should request instead, Sniderman argues, is an inexpensive assay for a blood protein known as apolipoprotein B (apoB). ApoB indicates the number of cholesterol-laden particles circulating in the blood - a better indicator of imbalances within proteins of the body than absolute cholesterol levels. Sniderman asserts that routine apoB tests, which he says cost as little as $20, would spare millions from unnecessary treatment. Sniderman and a cadre of other scientists have been stumping for apoB for years, but recent re-analyses of clinical data, together with genetic studies, have boosted their confidence. At last month's American Heart Association (AHA) meeting in Anaheim, California, for example, Sniderman presented a new take on the National Health and Nutrition Examination Survey (NHANES), a famous census of the U.S. population's health. The reexamination, which compared people with different apoB levels but the same non-HDL cholesterol readings, crystallizes the importance of measuring the protein, he says. Across the United States, patients who have the highest apoB readings will suffer nearly 3 million more heart attacks, strokes, and other cardiovascular events in the next 15 years than will people with the lowest levels, Sniderman reported. If future guidelines start to emphasize apoB's diagnostic value and drug companies begin to target it, Ference thinks physicians will eventually pay heed to the protein. "The argument is that LDL cholesterol is good enough," he says. "But as we move toward more personalized medicine, it's not." to their surprise the researchers found that mortality was higher, not only in the patients with anergy, but also in the patients with the lowest lipid values, including total cholesterol, LDL-cholesterol and HDL-cholesterol as well as triglycerides. They found that the risk of dying for patients with chronic heart failure was strongly and inversely associated with total cholesterol, LDL-cholesterol and also triglycerides; those with high lipid values lived much longer than those with low values. Other researchers have made similar observations. The study, led by Dr. Tamara Horwich, included more than a thousand patients with severe heart failure. After five years 62 percent of the patients with cholesterol below 129 mg/l had died, but only half as many of the patients with cholesterol above 223 mg/l. "statins used for LDL reduction shouldn't be stopped if there is an appropriate use to lower heart disease risk." sciencemag.org - Is it time to retire cholesterol tests?